Reason for Reading: People talking about it at BookCrazy. Even more book recommendations? Yes, please. 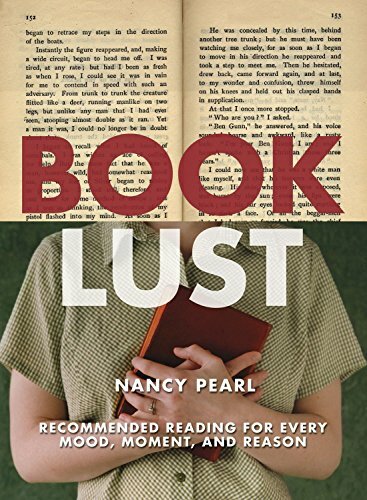 Synopsis: Pearl, a librarian, breaks Book Lust into categories of books (e.g. Historical Fiction Around the World; Astronomical Ideas; 100 Good Reads, Decade by Decade), in which she recommends books that she’s read in her lifetime. Why you should read this book: If you want to greatly broaden your reading tastes, but have no idea where to start in academic mysteries, or magical realism, or almost 200 other categories, Pearl’s book can point you in the right direction. Lots of titles you might never heard of but will peak your interest, and a number that may make you say, ‘Oh, I always meant to read that, but I forgot about it.’ And what reader doesn’t love to see what books another reader is enjoying? If you luck out and have tastes similar to Pear’s (she casts a broad enough net to catch pretty much everyone on at least one section), you’ll quickly rack up dozens of books that you want to read. Why you should avoid this book: If you’re happy with the few genres you’re reading, much of the book will be wasted on you – and the chances that someone will find all 175 categories of interest is pretty slim. A lot of the time, Pearl leaves you with only lists of titles and authors, which can make picking out a book difficult. It’s hard to capture the essence of a book in just a sentence. Another issue, as Pearl points out in her introduction, is that a number of the books she mentions are out of print, and there’s nothing worse than getting excited over a book and then not being able to get your hands on a copy. In the end, it’s all going to come down to a matter of taste. I love to read. And while I might not absolutely agree with the Anglo-American man of letters Logan Pearsall Smith, who said, ‘People say that life is the thing, but I prefer reading,’ I come awfully close to subscribing to his sentiment. In fact, back in the days when I did such things, I needlepointed the quotation onto a piece of canvas. I’ve never gotten around to framing it or turning it into a pillow. Too many books, and life, had my attention, I guess. I have an inordinate fondness for first novels. There’s something so exciting about discovering new work and a new writer. What sometimes happens, of course, is that their first novels were the best they ever wrote, or sometimes (as in the case for Harper Lee’s To Kill a Mockingbird), the only novel they ever wrote. Ian McEwan is the author of two collections of short stories (First Love, Last Rites and In Between the Sheets) and nine novels: The Cement Garden; The Comfort of Strangers; The Child in Time; The Innocent; Black Dogs; The Daydreamer; Enduring Love; Amsterdam (which won the Booker Prize in 1998); and Atonement (which won the National Book Critic’s Circle Award in 2003). You need a strong stomach for some of his early novels, which are drenched in elegantly well-written violence (think the early novels of Cormac McCarthy for a good comparison). He is wonderful at portraying the complexities of human relationships, including those between husbands and wives, parents and children, siblings, lovers, and the past and present. Although many readers believe Atonement is his masterpiece, my favorite McEwan novel is Black Dogs, which describes the stormy marriage between June and Bernard Tremaine Their fraught relationship begins during their honeymoon, when June is nearly attacked by two large, vicious black dogs. Or is she? Also Recommended: 84, Charing Cross Road by Helen Hanff. Also by this author: More Book Lust; Now Read This: A Guide to Mainstream Fiction, 1978-1998; Now Read This II: A Guide to Mainstream Fiction, 1998-2001. This sounds incredible! Two cheers for literary criticism!